Be Found. Get Connected. Stay Engaged. When a customer is looking for the best and most affordable local business, will they find you? Capital District Digital is part of the local Albany, Saratoga and Schenectady County community. No Matter What The Industry, We Can Help Your Business Marketing. Capital District Digital offers integrated marketing solutions for local businesses in every industry to make sure your find new customers, get repeat business and drive more in-store sales. Our web designers specialize in affordable and engaging responsive mobile website design including e-commerce. All of our websites are designed and developed in Albany, NY. Websites can be hosted and maintained on the Capital District Digital servers. Our websites include SSL Certificates and hacker safe security. Business listing on a fully responsive, optimized, geo-targeted and review based business directory website. Now is the best time for creating a local Search Engine Optimization strategy on search engine results pages. Let us help you target specific areas including Albany, Schenectady, Troy or the entire Capital Region. Social Media gives you the possibility to connect and share information leading to an increase of the brand awareness. Our Social Media platforms include Facebook, Twitter, Google+ and Instagram. We specialize in WordPress e-commerce website development. Our team launched Capital ePay, a credit card payment gateway that provides seamless credit card processing and recurring monthly billing. 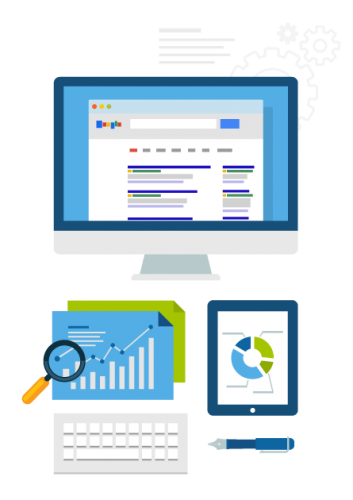 We offer professional SEO services that help increase your websites organic search traffic and improve its ranking in the search engines.